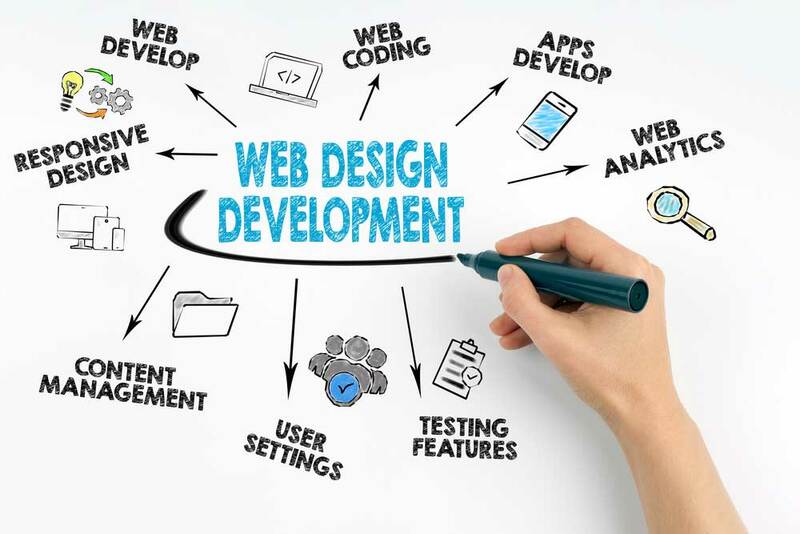 Web Design is the process of determining the layouts, structure, color, graphics, images, and interactive features of a website. Web design defines everything related to the website including the way it works and looks. Basically, web design deals with the front-end or exterior look of the website. Web Design also makes your website responsive so that users it provides the same experience to the users from various devices. The design of your website is very important as it considered as the first impression to your audiences. Web Design and Web Development are two different things. However, they are highly connected with each other and one couldn’t exist without the other. Both Web Designing and Web Development of a website are important in its online presence. Concurrently, Web Design and Development make your website superior to the audiences. Many businesses consider Web design and development as an intimidating task. There are a lot of digital strategies for a successful business but without a vibrant online presence, you will not able to go a long way in the century of technology. Nowadays, people search online for almost everything. It doesn’t matter whether you are selling a product or offering a service, you will be out of the reach of a large number of customers without the online presence. Even if your business is offline based, a large number of potential customers will search for you online before visiting. Most of the time, your website will be the first line of communication between you and your customers. An easy to navigate and well-designed website will raise trust in your business and inspire the customer for the next move. So this is important to have a professionally designed and developed website for your business.